Esteban José Bullrich is an Argentine politician. Bullrich was born and raised in the city of Buenos Aires. 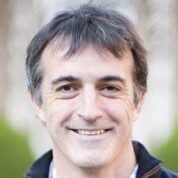 After completing his bachelor’s degree, Bullrich began his graduate studies in the United States at the Kellogg School of Management of Northwestern University. Bullrich began his political career in 2003 when he ran for City Council for the Recreate for Growth party (Recrear) and later became vice-president for the Buenos Aires District. In office, he has organized and led efforts to improve the Argentine education system. Since the 12th October 2005, Bullrich has represented the Federal Capital of Buenos Aires, and is scheduled to continue his term until December 2009. Bullrich represents the PRO, a center-right political bloc. Bullrich and PRO are also allied with political blocs Commitment to Change and Recrear. Esteban Bullrich was recognised as an Eisenhower Fellow in its Multi Nation Program 2006. "Teachers are the true builders of our future. Let us join them in their work. To be a teacher should be the most prestigious job in society. The true road to a more just and free society, an educated society is a healthy society. We should value teachers more than doctors. Let's do it!! "